New Delhi: Prime Minister Narendra Modi on Thursday greeted the Indian hockey team for a 5-0 victory over South Africa in their opening match at the 2018 Hockey World Cup campaign in Bhubaneswar. “A fantastic start for the Indian Hockey team! Congratulations to our team for an impressive win against South Africa in their opening match at the World Cup in Odisha. “Best wishes for the upcoming games,” Modi, who is in Argentina to attend the G20 summit tweeted. 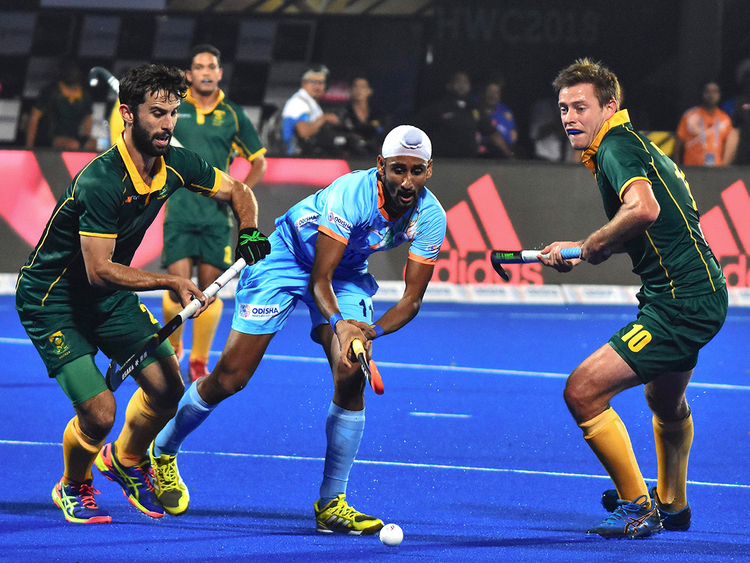 India on Wednesday hammered minnows South Africa with three field goals and two penalty corners in the opener at the Kalinga Stadium. World No. 5 India registered a comprehensive win in the second match of the evening with Simranjeet Singh scoring two goals (43rd and 46th minute), Lalit Upadhyay (45th minute), Akashdeep Singh (12th minute) and Mandeep Singh (10th minute). India will next face World No. 3 Belgium in their second pool match on December 2. Belgium, meanwhile, pipped Canada 2-1 in the opening match of the event on Wednesday. Felix Denayer gave an early lead to Belgium by scoring in the very third minute of the game, while skipper Thomas Briels extended the lead to 2-0 after he found the back of the net in the 22nd minute. It seemed Belgium would register an easy win, but Mark Pearson gave some hope to Canada after converting a penalty corner in the 49th minutes of the game. The North American nation however failed to equalise the score, suffering a narrow 1-2 loss to the Red Lions.